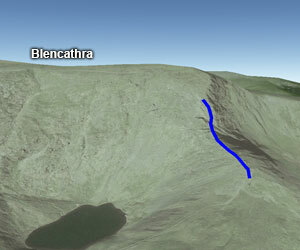 Sharp Edge is the most famous route of asent up Blencathra in the northern lakes. 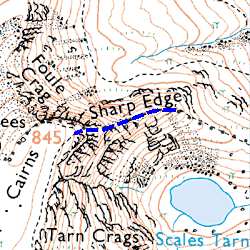 It is known as one of the most difficult ascents on any mountain (excluding rock climbs) and follows a razor sharp ridge up to the saddle. It is also famous due to its several fatalities every year, usually by people who are inexperienced and climbing in poor weather conditions. If it is wet, windy or snow/icy then do not climb unless you are an experienced mountaineer with the proper equipment.